About a month or so ago i was watching Sunrise, when something caught my eye. It was an organisation called Thankyou Water. It intrigued me as Thankyou water was started by a group of teenagers, and it is a non-profit organisation, with 100% of the funds going directly to developing nations, providing communities with wells of safe drinking water. The teenagers are volunteers and receive nothing for their efforts. 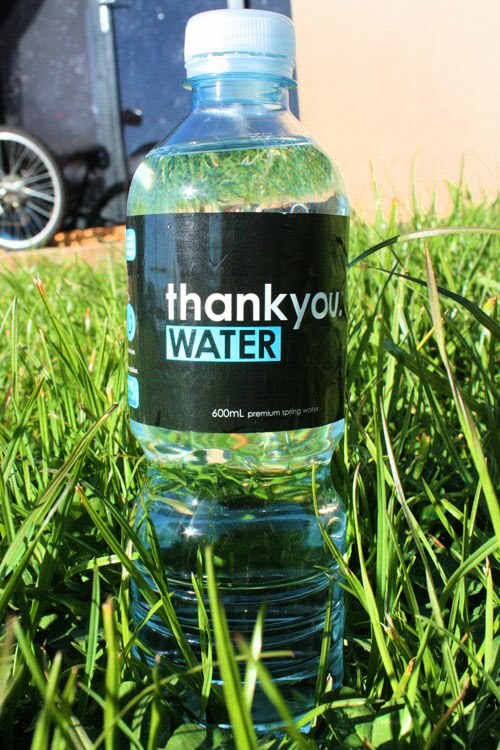 For every bottle of Thankyou water that is sold, at least one month's worth of water is provided to someone in need. They have a short term goal, which involves reviewing the bottle mould to reduce the amount of PET used by 42%. This means that Thankyou Water will be the lightest bottle in the country, halving the current PET output. The long term goal for Thankyou Water is for PLA (biodegradable material) to be used for it's bottle. This will go a long way towards solving the current issues of landfill. I thought this sounded really cool and wondered how i could help, as at that point it wasn't sold anywhere in Tasmania. I then found out that nearly 900 million people around the world can’t access clean water. 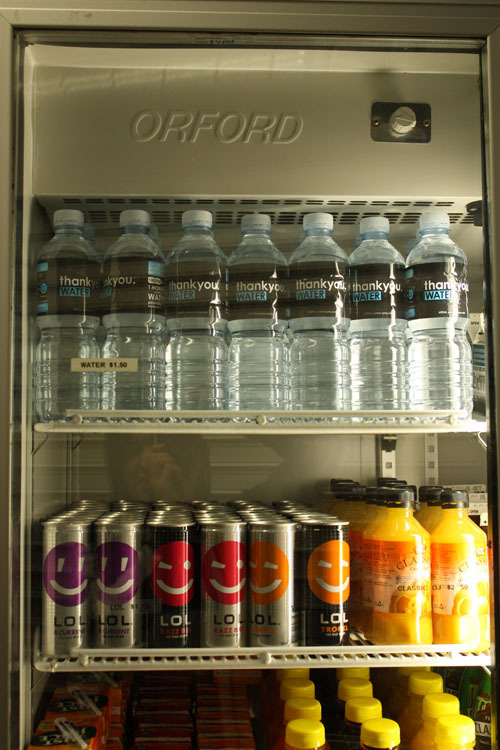 In Australia we spend nearly $600 million on bottled water every year. I then felt an even stronger need to help. 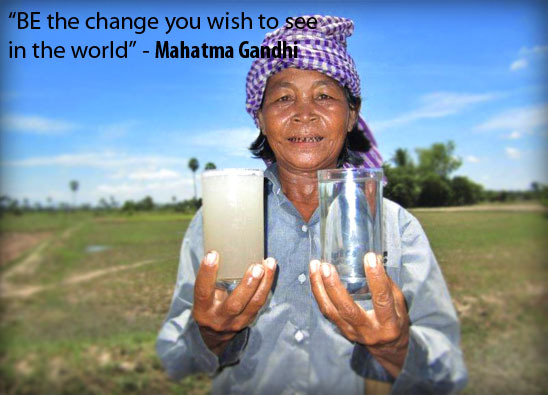 A lady in Cambodia comparing her water before and after Thankyou Water provided her with a well. I had an idea, and emailed one of our deputy principles, who i get along with. 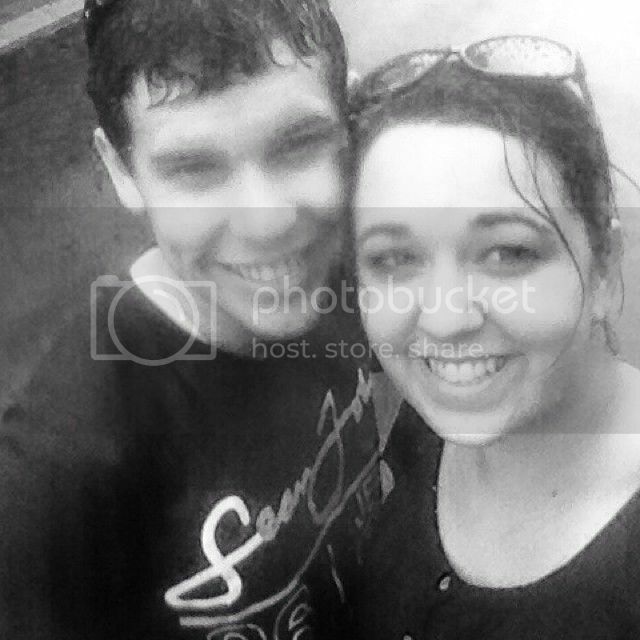 He emailed me back and said that he loved my idea and to write a proposal and come and visit with him. I wrote it the next day and went to see him. He read over it and was very impressed. He then took me straight away to meet with the head canteen lady, Mrs Titley. 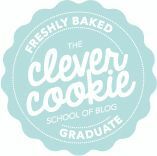 She read my proposal and said to come back the next week to discuss money, as it is a non- profit organisation the school would actually be losing money. When i went back the next week i had prepared an information sheet about the water prices. I didn't really have high hopes for it to happen. But she surprised me by dragging me by the arm into the back of the canteen. There in the corner was two massive cartons of Thankyou Water!!!! I was SO surprised! I nearly jumped up and down and hugged her!! 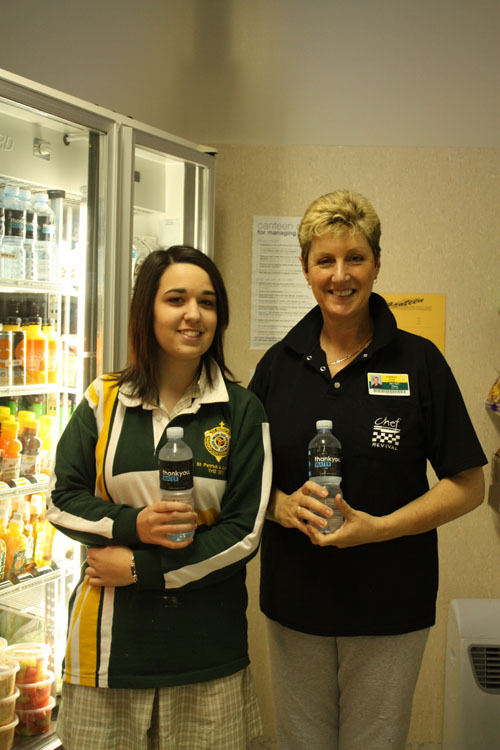 And now- Thankyou Water is now being sold in St Patrick's College school canteen!!! With the help of some teachers i have been doing a bit of advertising to promote Thankyou Water, and encourage people to buy it, once they know what it is all about. If you want to know more about Thankyou Water then visit the Thankyou Water website.